HEAVEN’S FORMULA FOR HOLINESS: THE IMMACULATE HEART OF MARY! The Miraculous Medal of the Immaculate Conception may also be called the Medal of the Immaculate Heart of Mary. The inner message of our consecration to the Immaculate Heart of Mary is that we not only accept and offer up whatever God sends to us, but that we do this through the Immaculate Heart of His Mother. We recognize that our hearts are sullied by sin and, therefore, we ‘borrow’ as it were, the Immaculate Heart of Mary, who was for our sake and in anticipation of the Redemption, ever completely pure before God. We avail ourselves of her purity. In the beginning, many understood the Fatima message to be primarily for the conversion of Russia because of the promise of Our Lady, ‘In the end my Immaculate Heart will Triumph, Russia will be converted and there will be peace.’ But, the ultimate goal of the requests of Our Lady of Fatima is to bring about the Triumph of Her Immaculate Heart. The Apocalypse describes the Triumph of Our Lady over the dragon. It is this same dragon which has established a base of militant atheism in one of the largest nations of the world. From Russia, this dragon set forth openly to drive from the hearts of man all belief in God. Our Lady has promised that She would save us from the dragon of militant atheism. If Her requests are not heeded, there will be further wars and entire Nations will be annihilated. There is a great deal of urgency as well as finality to the Fatima message. MEN MUST CEASE OFFENDING GOD! My God, I believe, I adore, I trust and I love Thee. I beg pardon for those who do not believe, Do not adore, Do not trust and Do not love Thee. 3. To wear the Scapular of Mount Carmel as a profession of this promise. It will be for me an act of my consecration to you. Fatima’s Formula for Holiness was prepared by Sister Lucia and promulgated by the Bishop of Fatima in 1946. Each of its parts is closely related to the other. We can separate them only for discussion. Like four legs of a table, all are needed and it is useless to ask which one is more important or which takes precedence over the others. All four together make up a solid basis for the Triumph of the Immaculate Heart of Mary in each individual so that in the end Her Heart will triumph throughout the whole world. The BROWN SCAPULAR is the devotion of Consecration to the Immaculate Heart of Mary. It creates the state of union with Her. It puts us in the atmosphere of holiness which greatly facilitates the keeping of the other elements of the pledge. Our Lady held the Brown Scapular out to the world in the final vision of Fatima, just before the climax of the miracle of the sun. When Lucia was asked why Our Lady held the Scapular in Her hands, she said, “it is because everyone should wear it, for it is the sign of Consecration to Her Immaculate Heart.” Later, Sr. Lucia said, “the Rosary and the Scapular are inseparable.” Pope Pius XII and the Bishop of Fatima officially ratified this judgment. In his Encyclical in July 1951, Pope Pius XII said: “Let it (the Brown Scapular) be for all the sign of Consecration to the Immaculate Heart of Mary.” The Scapular brings to its wearer the constant moral presence of Our Lady and, at the same time, is an eternal profession of Consecration to Her. By uniting our hearts to the Immaculate Heart of Mary, we are brought into intimate contact and union with the Most Sacred Heart of Jesus. The more we deepen our understanding of the Scapular as a sign of intimacy with the Heart of Mary, the more valuable it will be to us at every moment of the day in fulfilling the other requests She made at Fatima that Her Immaculate Heart might triumph. THE SCAPULAR DEVOTION IS PROFOUND AND FULL OF MEANING! Concealed beneath so simple a sign, no words or even paragraphs can amply describe or explain it. Often referred to as Our Lady’s Sacrament, it has been the vehicle of more numerous miracles and favors than any other sign the world has known. It has been the armor of Saints and was found incorrupt in the tombs of St. John Bosco, St. Alphonsus Liguori, St. Louis de Montfort and others. The Scapular is not a sign of some particular religious congregation; rather it is a sign of belonging to the Immaculate Heart of Mary to the universal Family of Her Heart. Valid enrollment is required. This must be performed by a priest. Brown wool must be used and the Scapular worn over the shoulders with one part in front and one in back. Pictures on the Scapular are not necessary. The ritual of enrollment should be followed, and the name of the person enrolled should be inscribed in a register. Pope John XXII promulgated the great promise made by Our Lady known as the ‘Sabbatine Privilege’ and which was further confirmed by nine subsequent Popes. St. John of the Cross summed up the privilege in these words, ‘Blessed be God who permits that I part from this life on Saturday, the day that Our Lady frees Her special children from Purgatory.” Sabbatine means Saturday and the privilege is traditionally understood to mean that no one who obtains it will remain in Purgatory beyond the first Saturday after their death. 3. to pray the Little Office daily. Fr. John Luke of the Holy Ghost, OFM, has obtained permission for the ULRA to substitute for the Little Office, our Decade in the Living Rosary. Registration list of all members in the Scapular Confraternity is sent each month to (1) Stella Maris Monastery, Haifa, Jerusalem, (2) Fr. Angelo Ison, OFM, St. Anthony’s Latin Parish Church, Tel Aviv, Israel and (3) Fr. Luke of the Holy Ghost, OFM, Our Lady of Victory Church, Archdiocese of Rhodes, Greece. O MY GOD, in union with the Immaculate Heart of Mary, I offer Thee, the Precious Blood of Jesus from all the Altars throughout the world joining with it the offering of my every thought, word and action of this day. I desire to gain every indulgence and merit I can, offering them together with myself to Mary Immaculate whom Thou has appointed the dispenser of the merits of Thy Precious Blood especially by means of this Scapular (kiss your Brown Scapular) that She may best apply them to the interests of Thy Most Sacred Heart. Some people lament that they do not love God more; all desire something for His glory: the spread of some good work, the success of some devotion, the coming of some better time. One man has been striving for years to overcome a particular fault and has not succeeded. Another mourns, and almost wonders while he mourns, that so few of his relations and friends have been converted to the Faith. One grieves that he has not devotion enough; yet another that he has a cross to carry which is a particularly impossible cross to him; while a third has some domestic trouble and unhappiness in the family, which seem incompatible with his salvation; and for all these things, prayer appears to bring so little remedy. What is the remedy that is wanted? What is the remedy indicated by God Himself? If we rely on the disclosures of the Saints, it is an IMMENSE increase of devotion to Our Blessed Lady but, remember, nothing short of an IMMENSE one. 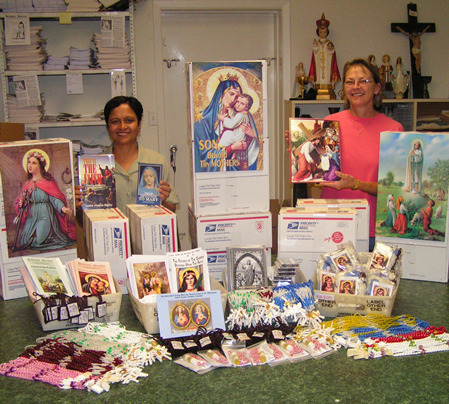 Devotion to Mary is low, thin and poor. It is frightened out of its wits by the sneers of heresy. 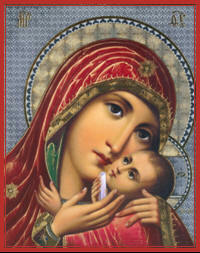 It wishes to make Mary so little a Mary that Protestants may feel at ease about her. It is not the prominent characteristic of our religion which it ought to be! It has no faith in itself. Hence, it is that Jesus is not loved, that heretics are not converted that the Church is not exalted; that souls which might be Saints wither and dwindle; that the Sacraments are not rightly frequented, or souls enthusiastically evangelized. Jesus is obscured because Mary is kept in the background. Thousands of souls perish because Mary is withheld from them. It is the miserable, unworthy shadow which we call our devotion to the Blessed Virgin that is the cause of all these wants and blights, these evils and omissions and declines. Oh, if Mary were but known, how much more wonderful would be our faith, and how different our Communions would be! Our total consecration to the Blessed Virgin enables her to implant and foster within us the seeds of her own perfect response to God. We are all called to participate in the grace of Mary’s Immaculate Conception. This may, at first, sound profane or even revolutionary, but the truth of it is inescapable. God created man in His own image and likeness, and prepared him for a most profound union with the Most Blessed Trinity and with one another. From the blood of martyrs and the humble trust and patient suffering of the Children of Mary, will flower the most glorious Triumph of the Blessed Virgin Mary upon the earth, binding the whole Catholic world. The Most Blessed Trinity with the voice of the Vicar of Jesus Christ will proclaim throughout the world the infallible dogma of Mary Mediatrix of all Graces and Co-Redemptrix. This, in fact, will herald the most glorious Triumph of Christ the King. A deluge of Sanctifying Grace will flood the face of the earth and the Peace of Christ, promised to us at Fatima, will reign supreme over all nations. What a singular privilege for each of us in Mary’s Living Rosary battalion to have been part of the universal army commissioned to implant the truth of the Immaculate Conception in the souls of all men! It will be to our lasting glory to have served our Queen in this cause with our whole heart and all our treasure. “In the end, My Immaculate Heart WILL TRIUMPH! The whole world and everyone in it, consecrated to the Immaculate Heart of Mary, will be loving the Sacred Heart of Jesus with the only love befitting Him; for it will be the Love of the Most Blessed Trinity dwelling in the Immaculate Heart of Mary, breathing LOVE for LOVE: One God Loving Himself! I, (name), a wretched sinner, today, renew and ratify in thy hands, my Immaculate Mother, the vows made for me at Baptism by my sponsors. I renounce forever Satan and all his pomps and works. I give myself entirely to Jesus Christ, to carry my cross after Him, and to be more faithful to Him than I have ever been before. I contemplate Him in His agony, and realize that it was to save me from Hell, to deliver me from the cruel slavery of the devil, that He suffered this indescribable agony. I offer myself to thy Immaculate Heart, which suffered so acutely for me at the foot of the Cross. I wish to honor that sorrowful Heart, which does so justly merit the love, the reverence and the gratitude of all mankind. My dear Mother, my loving advocate with Jesus, I deliver and consecrate to thee, as thy slave, my body and soul, my goods, my talents, my time, and even the value of all my good actions. I leave to thee the entire and full right of disposing of me, and all that belongs to me, without exception, according to thy good pleasure, for the greater glory of God, in time and in eternity. Amen. THE SACRIFICE OUR LORD ASKS OF YOU, IS THE SACRIFICE OF DAILY DUTY! The right employment of time is of greatest importance in the spiritual life. Draw up for yourself a rule of order for the day, assigning each duty its proper time, and observe this rule punctually. As soon as you awake, make the Sign of the Cross and say: “O my God, I offer Thee all that I am, and all that I have, through the Immaculate Heart of Mary.” Arise diligently and punctually at the appointed time. Dress with modesty. Kneel before a Crucifix or a picture of Our Lady, and say the Morning Prayers. Attend daily Mass as often as you can. It is by far the best and most profitable of all devotions. Seek always to live in the presence of God. Take great care to sanctify all of your actions by offering them to God. Give them into Our Lady’s care by praying the Hail Mary before, during and after each duty of your day. Do all things in moderation, desiring always to please God, whether you are eating, drinking, sleeping, at work or in recreation. Say the Grace before and after meals faithfully. Spend at least half an hour in good spiritual reading from the Gospels, Lives of Saints, and other spiritual works. Doing this, will nourish your faith and piety, and will serve to arm you in battle against the false maxims of the world. Avoid those companions who are a danger to your soul. Keep a strict guard over all of your senses. Curb your tongue. Do not be idle. Waste no time in profane or light reading, which too often is poison to the soul. When tempted to sin, make the Sign of the Cross, and immediately call upon God to help you. Do not be discouraged, if you have the misfortune to fall into sin but, quickly, cast yourself down in spirit at the Feet of Christ, and humbly beg His pardon. In the case of mortal sin, make an act of perfect contrition and, then, receive the Sacrament of Confession as soon as it is possible. Try to make at least a quarter of an hour’s meditation each day. Think upon the Passion of Our Lord, the virtues or the sorrows of Our Blessed Mother, or the virtues of one of the holy Martyrs or Saints. Accept all the trials and humiliations which God may send, humbly and with resignation, saying: THY WILL BE DONE! Make a visit to the Blessed Sacrament during the day, if it is possible. 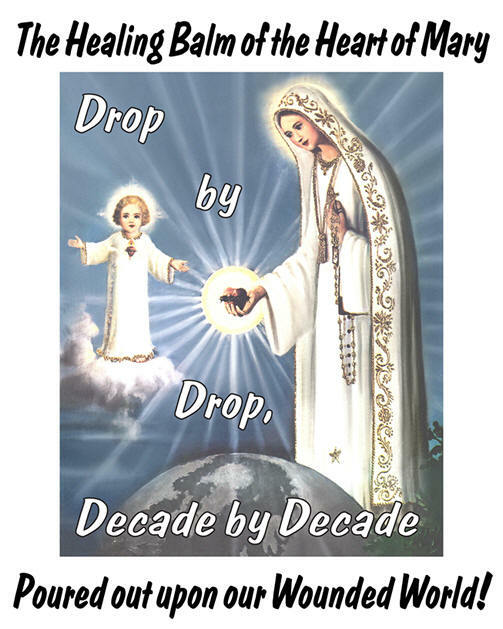 Never fail to pray the Rosary every day, and meditate upon its Mysteries. Finish the day as it was begun, by kneeling to say your night prayers. Make an examination of conscience, and humbly ask God pardon for the faults of the day. Go to Confession and receive Holy Communion, at the very least, once a month and on principal feasts. If you can make a spiritual retreat each year, make every attempt to do so. Offer your life in sacrifice to God, especially when you are sick. It is most important to prepare for your death during your Day of Prayer each month. When you are very ill, when death seems imminent, make haste to receive the Sacrament of Extreme Unction as soon as possible. Death perhaps to encounter and Judgment to undergo. This entry was posted on Tuesday, January 1st, 2013 at 2:00 am and is filed under NewsFlash, Saint Philomena. You can follow any responses to this entry through the RSS 2.0 feed. Both comments and pings are currently closed.